Moisturizers are something that is difficult to find if you have oily skin. 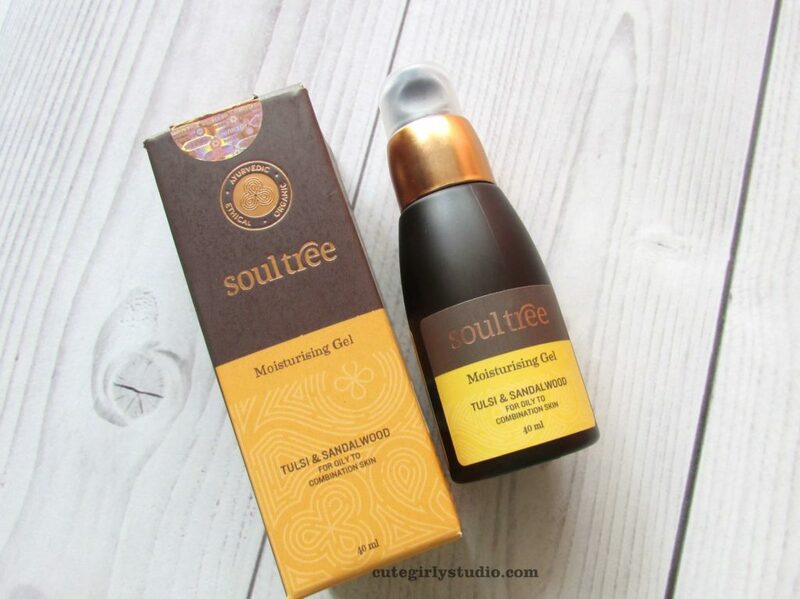 I was on hunt for a moisturizer and got my hands on Soultree tulsi and sandalwood moisturizing gel. 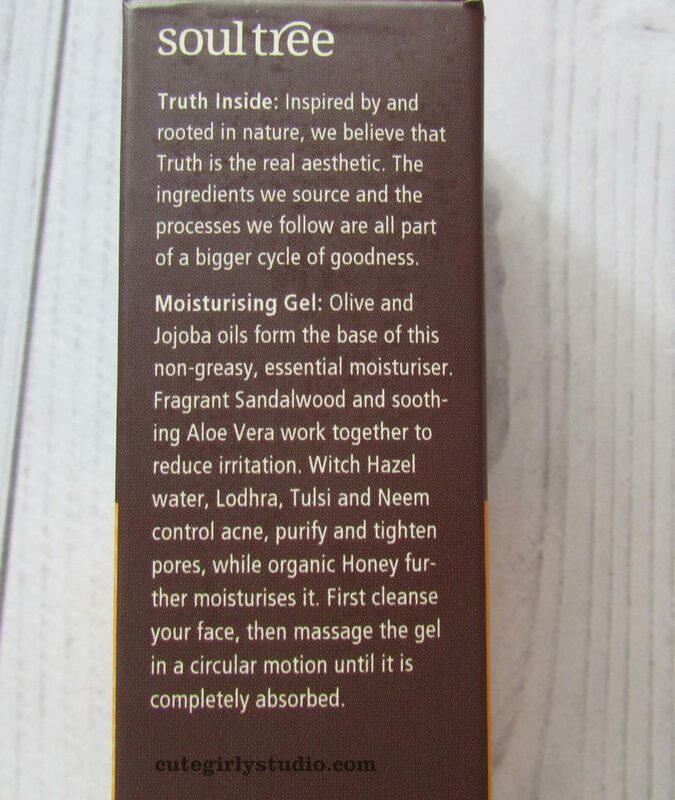 I have been using this moisturizer for a couple of months now and here are my views on this moisturizer. 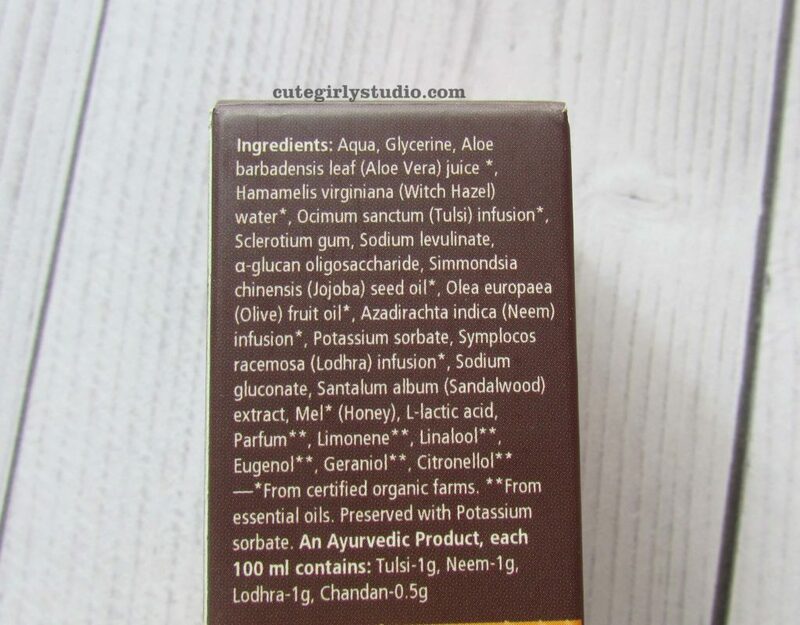 The Soultree tulsi and sandalwood gel moisturizer comes in a small pump bottle. The bottle is sturdy and user friendly. A spill guard is provided with the bottle that prevents the product from spilling. Overall the packaging is neat and travel friendly. 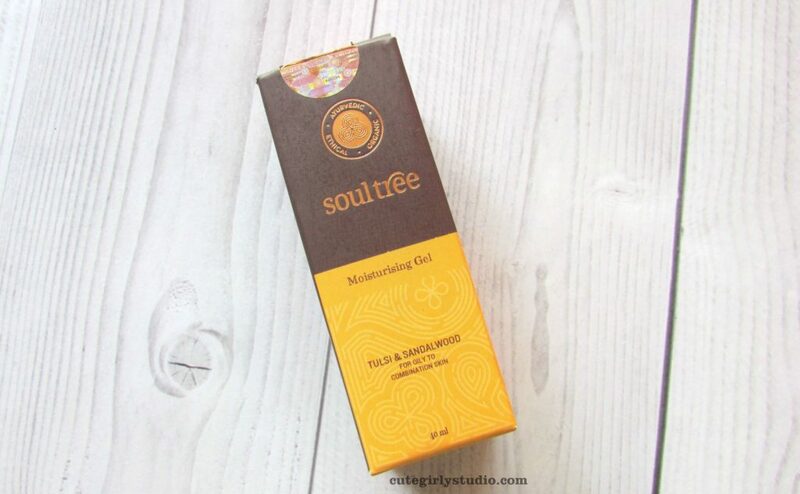 The Soultree tulsi and sandalwood gel moisturizer has herbaceous smell similar to tulsi. The gel is light brown in colour and gets absorbed onto the skin easily. It doesn’t leave any sticky residue. Though the formulation has Jojoba and olive oil, it doesn’t leave my skin greasy or oily. The moisturizer keeps my skin well hydrated and moisturized. I started using this when my skin was problematic. After using the moisturizer regularly, my skin felt soft and moisturized. Since the moisturizer is water based, it helped with congested pores. I used this moisturizer in my skincare routine that targeted blackheads and clogged pores. I will share that routine in the upcoming posts. I live in a humid place, using slightly heavy moisturizer is a big NO. This moisturizer comes handy in upcoming humid summers. Your skin will feel lite and hydrated. I take around 3 pumps and pat it all over my face and neck. As soon as I apply, it gives a burst of hydration to my skin. When my skin is irritated, I take around 5 pumps of the moisturizer and pat it generously all over my face and it calms down my skin. It also helps with mild acne conditions. This little bottle will last atleast 3 months for me. Overall I love this moisturizer. Yes. This is a must try if you have oily dehydrated skin. For the upcoming humid hot climate, this moisturizer will be perfect pick. That’s all for today’s post.